The Armitage Wine Lounge & Cafe is tucked in the foothills of Tucson, Arizona. Armitage Tucson is found in the La Encantada shopping mall. It provides an eclectic variety of fine wines, premium spirits, specialty martinis and imported beers. Armitage Wine Lounge & Cafe setting changes personality as the evening goes on. Armitage has an Old World ambiance and charming conversation areas delivering a relaxing setting for lunch, dinner, Sunday brunch. 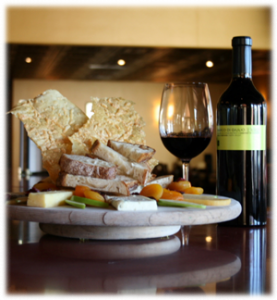 Armitage Wine Lounge & Cafe is one more of the Tucson restaurants to visit. With an outstanding happy hour it is a place to stop after a hard day at the office. As the evening progresses, the lighting dim and the music picks up tempo, changing into an inspired nightspot. Armitage Wine Lounge & Cafe will be open every day and most holidays. Armitage Tucson offers WI-FI services and is handicapped. Armitage Tucson is a modern lounge with an urban feel. The staff at Armitage Tucson are quite informative. Ask about wines, cheeses or menu items and they will fill you in. They will even recommendation menu items based on the style of wine you prefer. If it a close call the staff will bring out samples for various selections for you to try. The Armitage Tucson staff work to find that perfect wine to fit your needs. Armitage Tucson also has vegetarian and gluten free options on their menu! Great deals and fantastic happy hour. Happy hour runs daily 4 PM to 7 PM. Happy hour specials are on Monday nights after 7pm, it’s half off your bill if you order drinks. Thursday night is ladies night with half off select drinks. Sunday happy hour is 4 PM to close with lots of live music. Moving to Tucson Or considering southern Arizona as a winter retreat? We can help!